I love to cook and I love to read, but I don't read a lot of cookbooks. The Joy of Cooking is the only cookbook I consult regularly, and mainly for baking. I like its no-nonsense recipes and I've always had success with them. When it comes to day-to-day cooking, I generally look for recipes online, then compare the techniques and ingredients in two or three recipes and either combine them or go with what looks best. It's like crowdsourcing the recipe instead of sticking with an expert opinion, and it usually works pretty well for me. Although I do favour a few favourite sources like Epicurious, Clean Eating and Serious Eats. 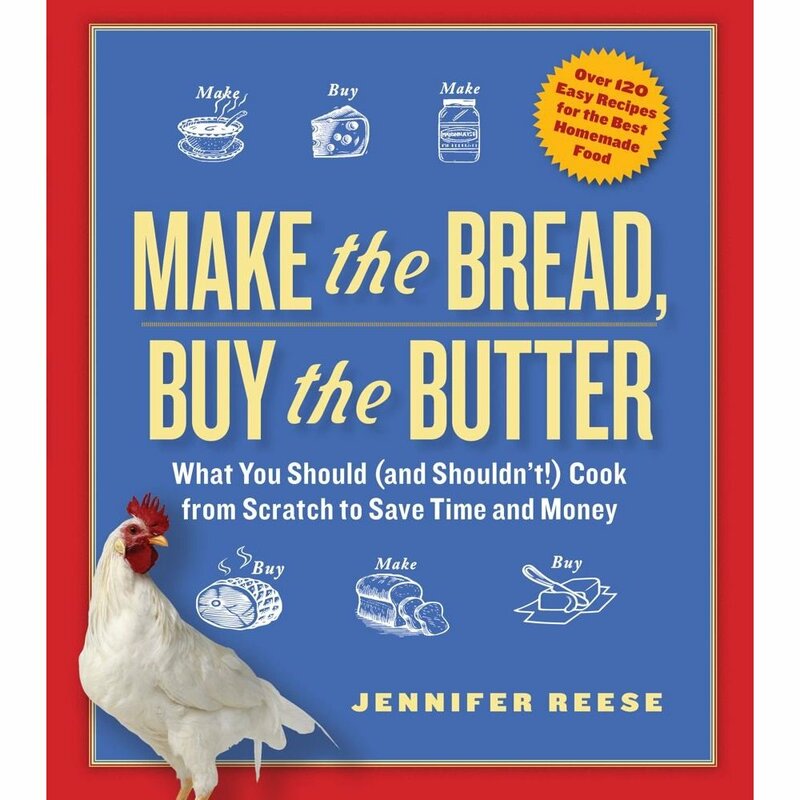 I just finished reading Make the Bread, Buy the Butter by Jennifer Reese and I loved it. It's not strictly a cookbook, it's more of a great story with recipes. The book sorts through various household staples and suggests whether making at home or buying from the store is the better deal in price, taste, hassle and practicality. I love Reese's writing style and I'm glad to have discovered her blog, The Tipsy Baker, which I'll now follow loyally. Her sense of humour and adventure is endlessly entertaining, whether she's bringing home chickens, then ducks, then goats, or making cheese, English muffins or bacon from scratch. I already long for goats, but my interest in curing and smoking meats has been ignited. If there's one takeaway from this book (and there were many), it's make your own vanilla extract. It couldn't be easier to make and is about 10% the cost of store-bought vanilla extract, depending on the price of vanilla beans. I used vanilla beans that had been sitting in my cupboard for a while, and I had vodka on hand, so it was practically free for me. All you need to do is take 3 vanilla beans, slice them lengthwise and scrape out the seeds. Place the seeds and pods in a small jar and add half a cup of vodka. Put the lid on, shake it up, and place it in the cupboard. Now the waiting. It'll take 2-3 months to extract all the flavour from the vanilla. Shake it up occasionally and make sure the beans remain submerged. You can also use bourbon or rum in place of the vodka for a stronger flavoured extract. Next time!